When looking for used home school curriculum, there are some basic guidelines you can follow that will help you get just what you need. 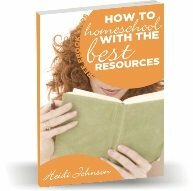 Every year homeschoolers complete or go through textbooks, workbooks, and literature books. Many homeschoolers keep all their books to pass on to their grandchildren, but many start clearing off their shelves to make room for new books. 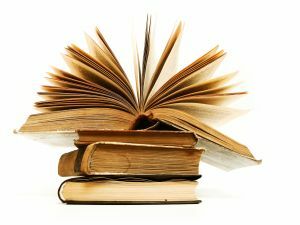 Used curriculum is easy to find since more and more people are homeschooling and figuring out that they can resell what they used the previous year. You can save lots of money by buying used home school curriculum whether you resell it after you are done or donate it to a needy family or thrift store. Is this the edition that you are looking for or does the edition not matter to you? Does the book have writing or highlighting in it? What is the condition of the cover of the book? Is it still attached? Is it in like new condition? Does it have a lot of bends and folds in it? 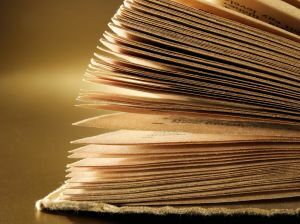 Are all the pages still in tact or have some been torn out? If you are buying a curriculum package, are all the parts there. Will you need to buy the student workbooks or are they include? Does the book have any water stains or water damage? Does the book smell like smoke or pets or does this not bother you? If you are willing to sacrifice a bit of quality, you can save a great deal of money each year purchasing used homeschool curriculum. You might even be able to save enough money over the course of a few years to be able to take a nice family vacation or at least have extra money to take some field trips during the year. If you are spending every last penny to purchase new curriculum each year, then you might have problems staying within your budget unless you have an unlimited budget. Keep your eyes open for what you are looking for. If you can decide in late winter or early spring what you will need for next year, you will have time to shop around and be ready to take advantage of a deal when you see it. Ebay has a search feature where you can type in what you are looking for and then it will tell you when that items comes up on an auction on their site. You can also check homeschool classifieds, Amazon and half.com for great deals on used home school curriculum. If you decide you want to purchase used materials, you should find it fairly easy to find what you need.